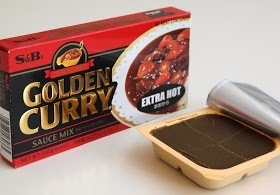 Most Asian households are familiar with S&B Golden Curry which you can find in almost any Chinese, Vietnamese, Korean, or Japanese grocery store. In the winters I always get a craving for it and usually I keep a box in the pantry. Lately, I’ve been trying to cook with more organic foods without preservatives. At my local Sprouts grocery store, I picked up some organic grass fed beef short ribs and sweet potatoes and decided to forego using the brown blocks of processed curry. Tonight I made my own curry paste version from scratch and it couldn’t have been easier. Heat up a pot with oil and butter on medium high. Season your meat with salt and pepper and brown the meat evenly on all sides. Throw in the next 8 aromatic ingredients and saute until the veggies have softened. Pour in your wine. After a minute, pour in your stock and the remaining 4 ingredients. At this point you can pressure cook on high for 35 minutes or cover and slow cook for about 2.5 hours until the meat falls off the bones and the sweet potato reduces down and thickens up the stew. Now the fun part – making the curry roux. On medium low, melt your butter in a skillet and stir in the flour. I find it easiest to use a wooden flat spatula to scrape up all the flour. 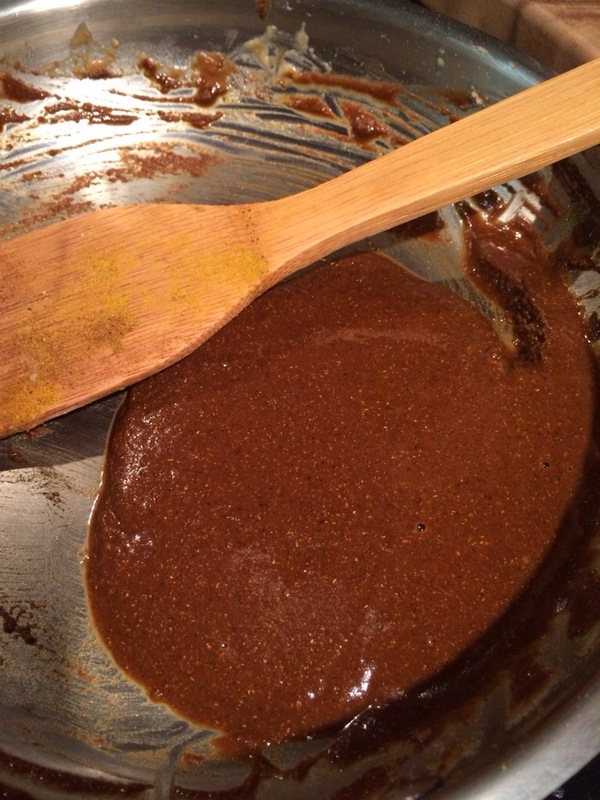 Stir constantly for about 20 minutes until the roux turns to a reddish brown. Turn down the heat to low if your roux starts to smoke. Take the skillet off the heat and mix in your spices to finish your homemade curry paste. When the beef is tender, add the curry paste into the main pot and let it simmer for a couple of minutes. Add more salt and pepper to your taste and give the pot another stir. 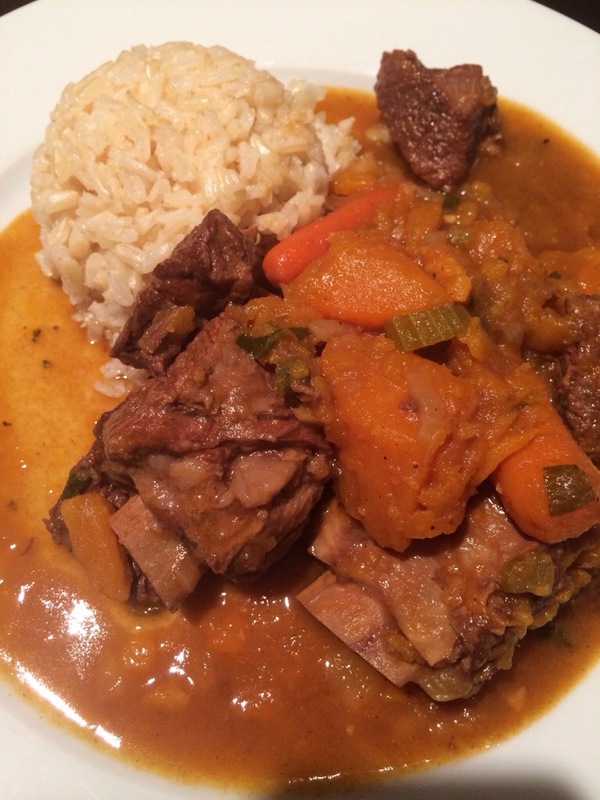 Serve over steamed rice. Looks like my next recipe to try!